Weems’s photographs and short films have gone a long way toward resetting our expectations of pictures. Bottega Veneta dress and belt, (800) 845-6790. Cartier earrings, (800) 227-8437. Van Cleef & Arpels bracelet, vancleefarpels.com. Manolo Blahnik shoes, (212) 582-3007. All clothing and jewelry price on request. 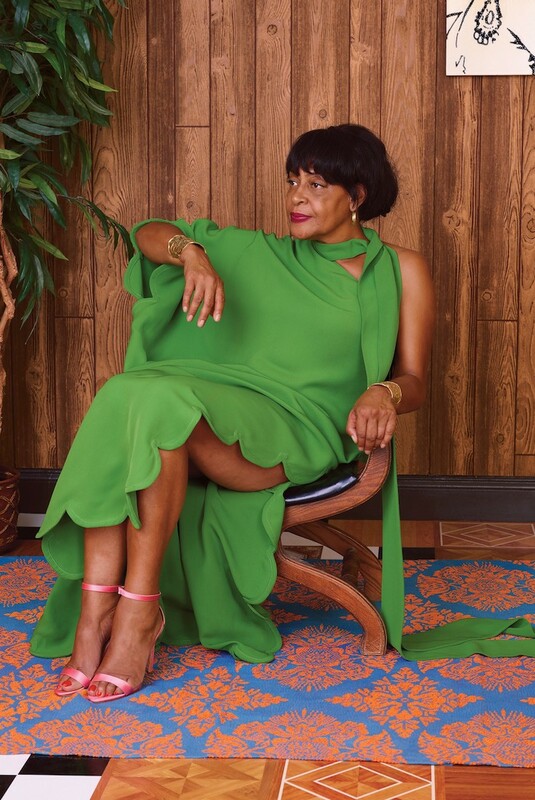 Credit Photograph by Mickalene Thomas. Styled by Shiona Turini. Weems, 65, who won a MacArthur Fellowship in 2013, the year before she became the first African-American woman to have a retrospective at the Guggenheim, has for some time existed in the cultural mythosphere. Her many admirers reserve an intense, almost obsessive affection for her that is rarely extended to visual artists: She is name-checked in a lyric on the new album by Black Thought and appears as herself in Spike Lee’s new Netflix series of “She’s Gotta Have It.” Her iconic 1987 picture, “Portrait of a Woman Who Has Fallen From Grace” — a photo that depicts Weems sprawled on a bed in a white dress, cigarette dangling from one hand — is on the cover of Morgan Parker’s poetry collection “There Are More Beautiful Things Than Beyoncé.” (Speaking of Beyoncé, Weems has been cited as an influence on the videos for “Lemonade.”) Any day now, surely, someone will name a flower after her.